Netherlands, also known as Holland, sits next to the sea. The land is so low that the sea previously covered much of it. The Dutch people have built great walls or dykes to keep the water out. Over time, they slowly drained the water so the land can be used for farming or other purposes. Flooding happens frequently here. The people have to watch and maintain the dykes so they don’t break. People love bicycling here. The land is so flat that riding a bike is easy. 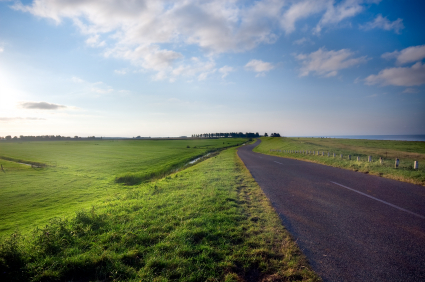 Miles of bicycle paths weave through the country. The cities are planned around bicycles, not cars. The Netherlands has two capital cities: Amsterdam and The Hague. The Netherlands has 13,097 square miles of land, much of it reclaimed from the sea. Over 17,000,000 million people live here. The official language is Dutch. 63 percent of people are Christian; 3 percent are Muslim; 34 percent are other. The government is a multiparty democracy. They also have a monarchy dating back to the 16th century. 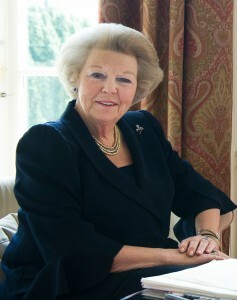 Queen Beatrix is the current monarch. The Dutch use the Euro as their currency. 99 percent of adults can read. The Rhine is the longest river in Holland, the Meuse is the second longest river. Mark Rutte is the current Prime Minister of the Netherlands (information taken June 2018). In the picture below you will see Queen Beatrix, she abdicated her throne in 2013 and her son Willem Alexander became the King of Holland. He is the first King of the nation since 1890. A documentary all about Netherlands – its geography, sites and landscapes. Question: What do people do to earn a living in Holland? Answer: Four hundred years ago, sailors and merchants traded gold and spices between Holland, Asia and the Caribbean. The country became very wealthy because of this trading. Today, people still trade and export goods. Tulip bulbs grown in Holland are sold around the world. Amsterdam is a diamond polishing center. 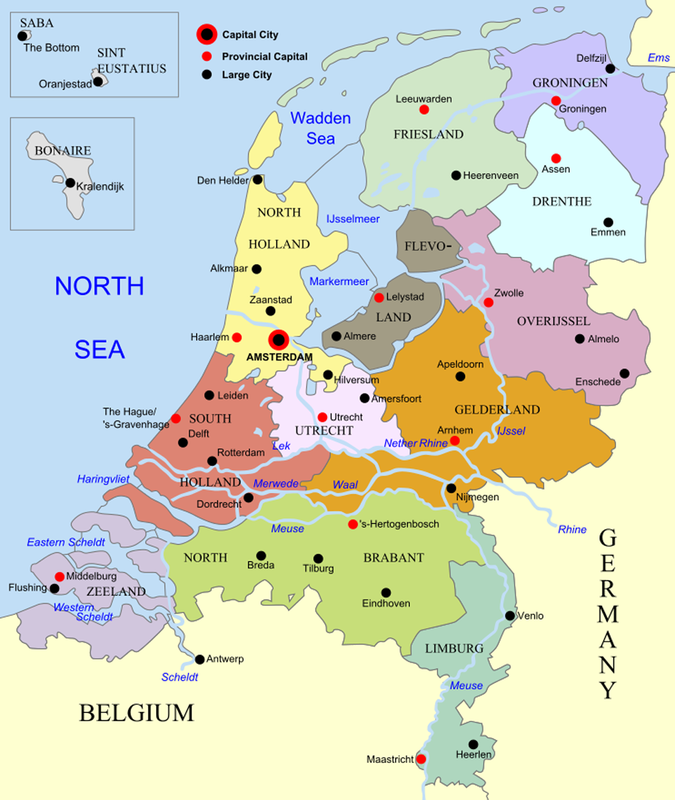 Here’s a map of the country of Netherlands and all its cities and villages. Zoom in to get into street level or zoom out to see other countries around Netherlands! You can see the terrain, but also see the roads, images of the buildings and even take a 3D tour through the streets of the cities of Netherlands, as though you are actually there! Enjoyed the Easy Earth Science for Kids Website all about Netherlands info? Take the FREE & fun all about Netherlands quiz and download FREE worksheet all about Netherlands for kids. For lengthy info click here. Declan, Tobin. " Fun Netherlands Facts for Kids ." Easy Science for Kids, Apr 2019. Web. 24 Apr 2019. < https://easyscienceforkids.com/all-about-netherlands/ >.